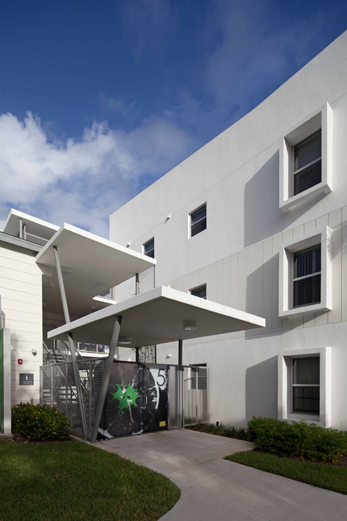 Kennedy Homes is an award winning 132-unit LEED Gold for Homes, affordable housing project poised at the gateway to the City of Fort Lauderdale and the historical Sailboat Bend neighborhood. 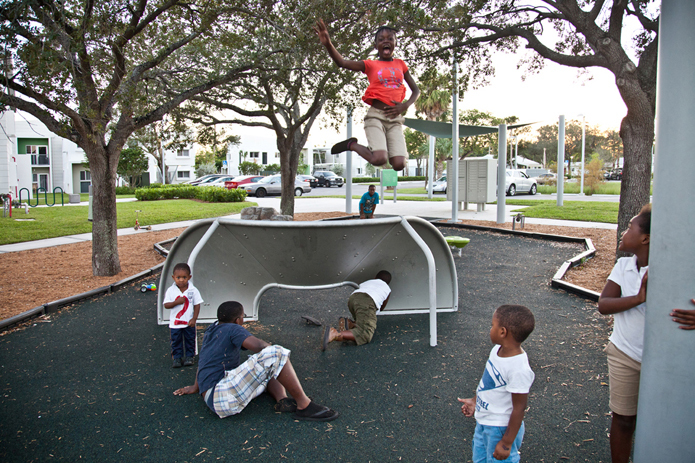 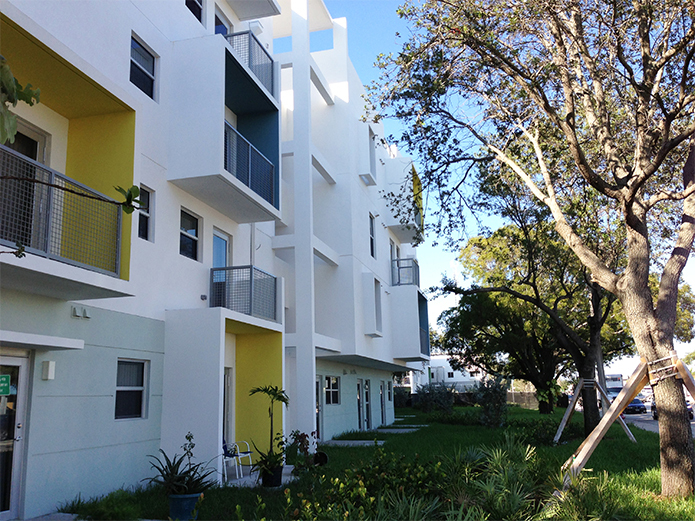 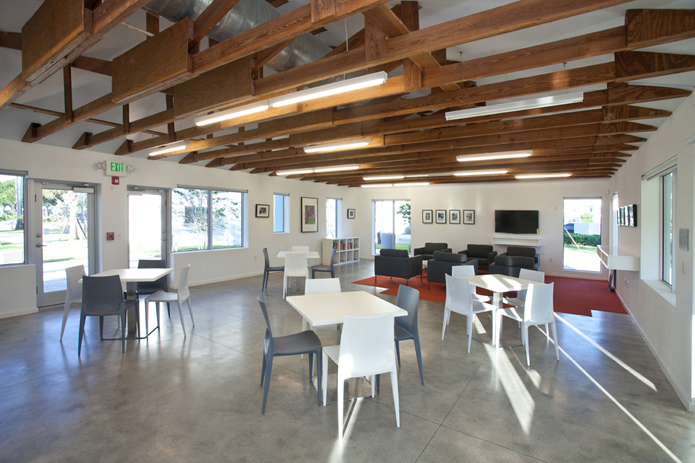 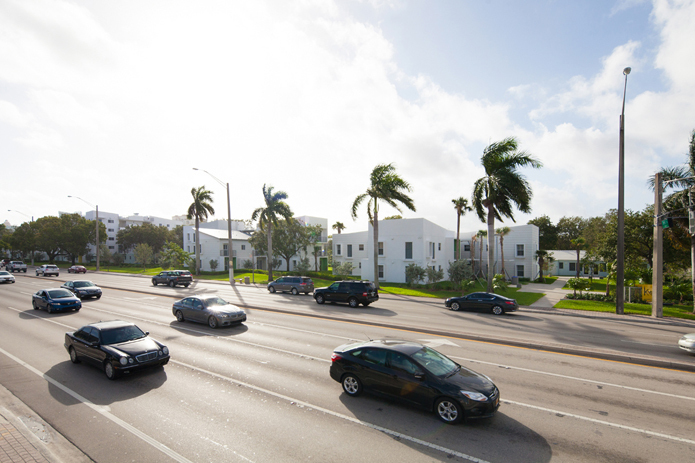 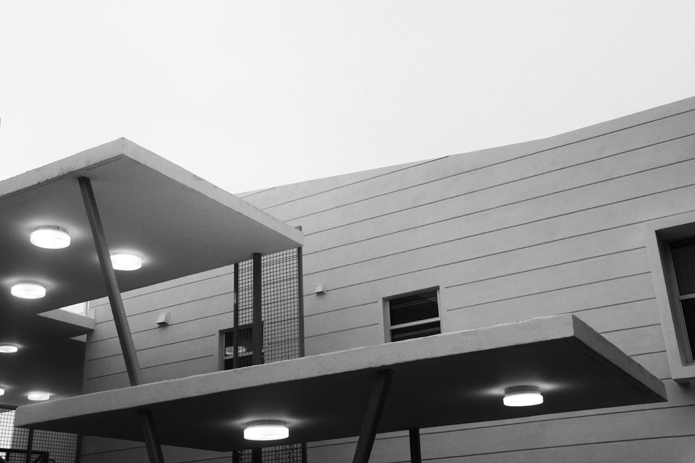 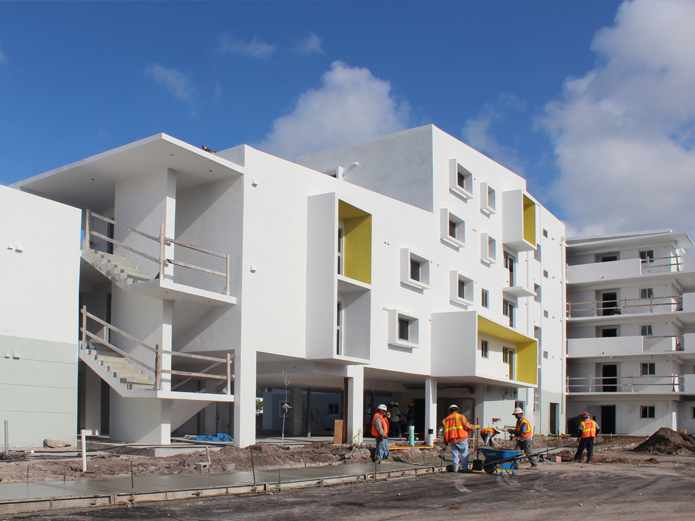 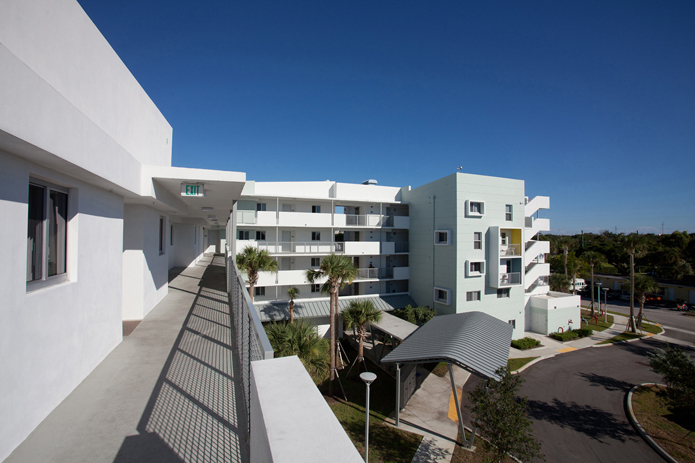 The project’s program addresses a shortage of affordable housing in the western edge of Fort Lauderdale and ensures a good quality-of-life for residents with design oriented private living spaces spread into eight buildings, and three community buildings housed in renovated existing buildings, which provide a gymnasium, a library, as well as meeting and leisure rooms. 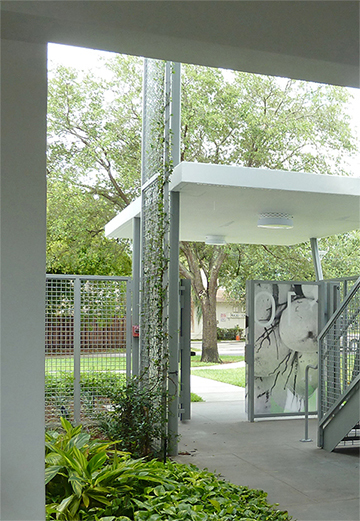 The 8.5-acre site is developed as an expanded green space within an urban landscape and holds within paths, play areas and courtyards that weave around the buildings and through a field of trees, now twice as many, that will provide residents with places of shade, exchange, and respite. 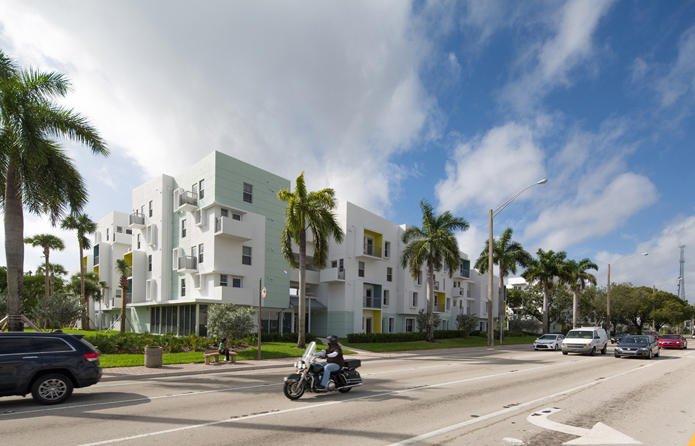 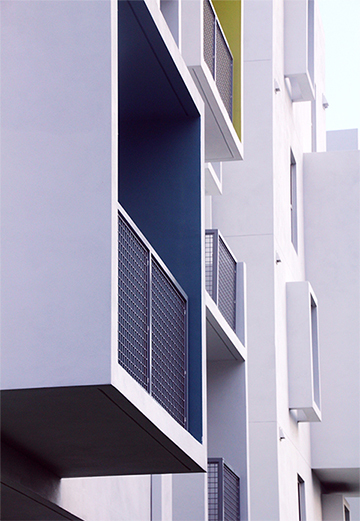 Along the site’s urban front, facing Broward Boulevard, housing units are designed with numerous balconies and a fine-grained pattern to create a pleasant visual transition.